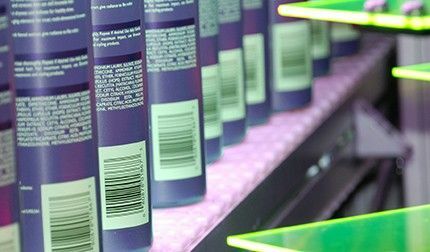 Why is Label Inspection so Important? Label-related defects are the most common cause of product recalls. In most cases, the problem is totally preventable. Products with faulty or incorrect labels lead to dissatisfied customers. In the worst case scenario, the wrong label on a product may create serious health issues for the consumer, especially if included allergens are undeclared. Every product changeover carries the risk of a mislabelling error. 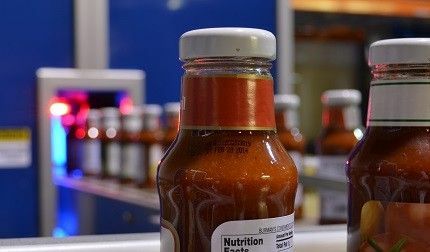 The use of a vision inspection system to perform graphical identification inspection processes means incorrectly labelled products are identified early in the production process, reducing the chances of expensive recalls. Where Should Label Inspections Take Place? Inspection should take place on all aspects of a labelled container or package including tags, brand, descriptive matter, notice labels, rings or collars. It is advisable to carry out the inspection immediately after the labelling process or as part of the final quality control process before packing and distribution. 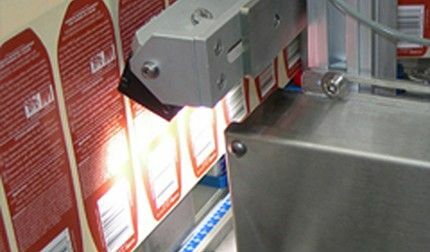 High-speed modern production lines mean that missing, misaligned or damaged label issues need to be identified and corrected as soon as possible to avoid waste or the need to re-work. HD cameras, powerful IPCs and sophisticated software algorithms will detect even the smallest skew or slightest damage to any label enabling the product to be removed from the production process. Regulations govern the principle display panel (PDP) and information panel of a packaged product to ensure that the correct label and information is shown. This includes the name of product, name and address of the manufacturer, ingredients, nutritional information, allergen warnings, net quantity and lot details. All of this information needs to be legible and verified on each individual product. Modern vision systems can automatically carry out this activity. 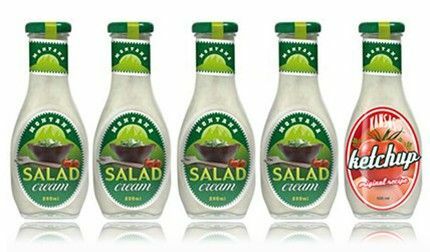 Compelling label design will catch the eye of consumers as well as communicate the brand qualities of a product. Inspection and verification to confirm that the correct graphical elements of the label are in place need to be carried out. 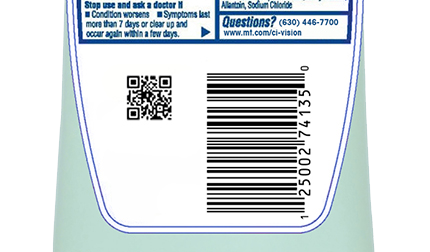 1D and 2D barcodes need to be machine and human readable to adhere to stock management system standards. 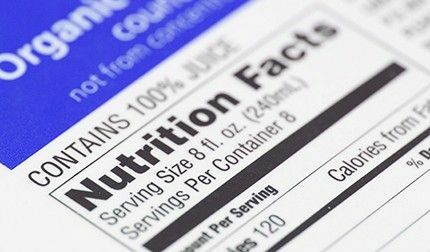 Which Food Label Regulations are in Place? Food manufacturers are facing new regulations in order to avoid recalls, de-certification or costly fines. The British Retail Consortium Global Food Safety Standard - Issue 7 saw the introduction of a new section specifically dealing with print and label quality. The EU’s Food Information Law (EU Regulation No. 1169/2011) and the FDA Label Guide are further examples of how governments and regulators are responding to consumer demands for safe, high-quality products. It takes great time and effort to create a compelling label design that will catch the eye of consumers, as well as communicating the qualities of a product and adhering to labelling regulations for a given country and industry. 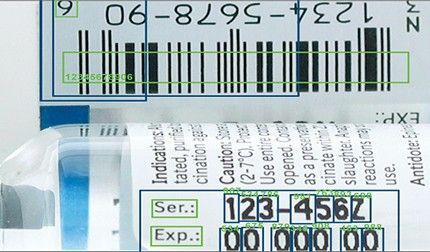 When a label is dispatched to retailers with folds, tears, or flagged edges, it undermines the effectiveness of the label design and wastes the effort taken to create it. A label that is correctly positioned without imperfections helps improve a product's first impression. Malfunctioning label applicators will cause a label to be applied incorrectly. Label inspection systems plot the position of labels along both the x and y axis, even on un-oriented products, and reject products with damaged, skewed or missing labels. Due to the very high speed of many labelling applications, any misalignment needs to be detected as soon as possible. Other standard vision inspections include: Closure presence, closure height and position (cocked cap), tamper band presence and integrity, container contamination, sealing surface integrity, neck thread formation, flashing and container integrity. Understanding and meeting the final FSMA requirements in preparation of the Food Safety Modernization Act.